Peter Dinda is a professor in the Department of Electrical Engineering and Computer Science at Northwestern University where he headed the Computer Engineering and Systems division for five years. He holds a B.S. in electrical and computer engineering from the University of Wisconsin and a Ph.D. in computer science from Carnegie Mellon University. 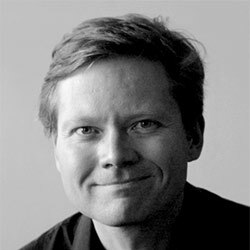 He works in experimental computer systems, particularly parallel and distributed systems, and has authored over 120 scientific papers, authored or is a major contributor to several large publicly available codebases, and holds five patents. His research currently involves virtualization and operating systems for distributed and parallel computing, programming languages for parallel computing, and empathic systems for bridging individual user satisfaction and systems-level decision-making. He is a Fellow of the IEEE. You can find out more about him at pdinda.org.